MY RESPONSE: “Hazmat situation?! When anything dries out and becomes airborne it turns to dust that can cause respiratory disease. Dust does that. “They call out hazmat teams to clean up hydrochloric acid spills(yes the same muriatic acid that is used to clean toilets and cement spills), yet people in the Salt Lake Valley voluntarily consume more of that daily than anywhere else in the world in the form of an antidepressant. (Example: fluoxetine hydrocloride [Prozac], sertraline hydrocloride [Zoloft], etc.) I would be far more concerned about these highly toxic chemicals than I would pigeon droppings! Just listen to the case he makes here for a cupcake!!! “Little surprise this is when we knew years ago research indicated a SEVEN times greater chance of breast cancer with Paxil. But unknown to me when I saw the approval come through for Brisdelle this summer is that it was actually Paxil renamed!! Surprising? You bet! Because I have been one of the most outspoken opponents to antidepressants for 25 years, writing, lecturing, doing media interviews even with the LA Times & not even I knew the FDA was approving Paxil! “There is no excuse for this!!! Why was Lilly allowed to change the name of Prozac to Sarafem to prescribe for PMDD & Wellbutrin allowed to change its name to Zyban to prescribe for smoking cessation? Anyone wonder what they are trying to hide? 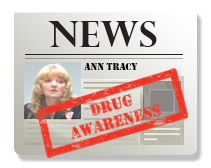 Feel free to go to our international support site to find out www.drugawareness.org. This is why I am so firm in discussing what needs to be done even after coming off these medications. The damage they have caused needs to be addressed and alternatives used to rebuild in order to avoid cancer and many other serious health problems due to the post drug adverse effects of the antidepressants. If the deficit is not addressed that the drug leaves in its wake problems can arise. I am working with a young woman currently who now has breast cancer years after her use of Prozac. Just a coincidence? I do not believe it is. She has had no opportunity to rebuild after being incarcerated at age 13 due to the drug effects. So when I post information on alternative treatments for cancer you can see why I feel it is important to pay attention. I realize that this is something many are very emotional about, but it is an issue where emotions need to be set aside long enough to reason through this one aspect because it could be a matter of life or death. 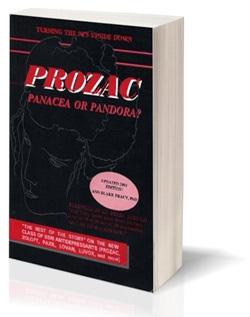 I lightly touched on this antidepressant adverse reaction in my book on these drugs, Prozac: Panacea or Pandora? Our Serotonin Nightmare! Because I felt it most important to stop the mass shootings and terrible violence of parents killing their own children as well as all of the sudden suicides that were a result of these drugs, other reactions were put on the back burner. Yet there are SO MANY other absolutely devastating reactions to antidepressants that need to be understood and many of those adverse reactions are sexual in nature. Obviously there are not many who want to hear this information on antidepressant-induced homosexuality because on one side you have those who firmly believe that this is natural and normal and do not want to hear that it could possibly be anything else. Yet on the other side you have those who want to condem others for acting out and do not want to “give them an excuse” for this type of behavior. What both sides are missing is that homosexuality CAN BE a medication reaction. Add to that fact that an extremely high percentage of the gay community are in fact taking antidepressants. One of the very first cases I worked on involving Prozac adverse reactions was that of a happily married doctor and father who, much to his surprise, became both homosexual and alcoholic after prescribing Prozac to himself. The following is the comment I posted on this in the local media today in Salt Lake City where, out of the blue and much to everyone’s surprise, gay marriage was approved on Friday. It is being appealed, but many are scrambling to get their marriages through the system while this is in effect. My statement is a warning to those in that position who have taken antidepressants or are currently on these drugs. “I have been expecting this to happen in Utah for some time now. In a state that uses so many antidepressants, which can make patients gay via disruption of hormones [in the development stage], it should have been expected. “Far too many patients have reported becoming gay on these drugs. So when I oppose gay marriage my main reason is that when people wean very, very slowly to safely come off their medications they generally go back to heterosexuality. “So if you are marrying someone who is on these drugs get ready for a surprise when they come off! Or in other words make sure your relationship is not based on a medication side effect! And now that you have read that statement you should know that the two main media outlets in Salt Lake City are KSL and the Deseret News. Their reaction to this statement was… Deseret News refused to print it and KSL suspended my account for attempting to post it!!!! Now this was being posted only as a comment on the story that ran on the gay marriages and it was sandwiched in with hundreds of other posts where it likely would not even be read! My question? Why on earth would they care if it was posted? 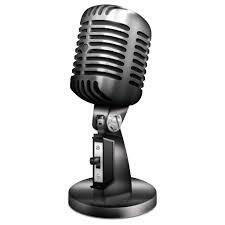 I backed up what I said and simply issued a warning to those this information might impact. Frankly I was shocked! Do their main advertisers, the drug companies, want to make certain this aspect of medication reactions is never discussed? My point is that patients have the right to be fully informed about ALL possible reactions to a medication and drug companies have the responsibility to warn which it seems they do everything to avoid doing! A perfect case in point would be the I made post last week about the woman who made the false accusations of sexual abuse against the Duke University players while on antidepressants about six years ago. If someone would have associated the medication reaction of the false accusations of abuse then, she likely would not have remained on these drugs thus suffering more and more toxic reactions (known to produce changes in behavior little different than a brain tumor might) until she murdered her boyfriend two years ago. Toxic reactions, no matter how they manifest physically, emotionally or behaviorally, must be dealt with because as you continue on the offending medication toxic reactions naturally become worse, not better! ARAPAHOE SHOOTING: WHO WAS KARL PIERSON? Who was Karl Pierson and what do we know about him so far? Yesterday morning Karl Pierson ran into Arapahoe, CO high school where he was an excellent student and began shooting before an armed guard stopped him cold in less that 1 minute, 20 seconds leaving many to ask if we need armed guards in all schools. 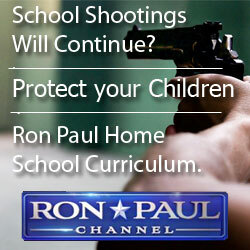 Do we have any clues yet as to why this young man would have done what he did yesterday in taking a gun, machete and two suspected Molotov cocktails with him to school Friday, December 13, and opening fire, seriously injuring a female classmate who was apparently just in the wrong place at the wrong time, before taking his own life? “Carl Schmidt and Brendon Mendelson, both seniors at Arapahoe High, knew Pierson. They said he had political views that were “outside the mainstream,” but they did not elaborate. So….violent behavior had been demonstrated before this in a run-in with this teacher. Yet those who knew him best describe him as someone who would not be expected to act upon any such threat or take revenge. “I had class with him and knew he was very outspoken and willing to contribute, and also that he had a controlled temper he would use during discussion,” Carl Schmidt, a fellow senior, told the Los Angeles Times. “A lot of people picked on him, but it didn’t seem to bother him,” Thomas Conrad, who had an economics class with Pierson, told the Denver Post. “High school senior Frank Woronoff told CNN he had known Pierson since they were freshmen together. But there may have been some disappointment in not being able to progress further in the national debate competition this past summer and certainly disappointment in being taken off the debate team. Was there someone there ready to medicate his troubles away when he was only miles from Columbine where not quite one and a half decades ago an entire community had their troubles medicated away with funds donated to the victims of Columbine High? Most likely there were many ready to do exactly that. Having A Four Times Greater Rate of Suicidal Thoughts Than the Normal Population!!! “Oncologists are the most psychologically distressed specialists, while doctors who do not deal directly with patients think about suicide most often. “One in five medical students and one in ten doctors have had suicidal thoughts in the previous 12 months, compared with one in 45 people in the wider community, according to the report. “Based on responses to the survey, more than a quarter of doctors are likely to have a minor psychiatric disorder like mild depression or mild anxiety, which is much more than the broader community. [And you have to love this line!!!] “Doctors are role models. They lead by example and will encourage other members of the population to seek help early.” In that line you find the reason for this survey and the push by this Australian group to get more doctors “medicated” for their mental illness.” In doing so they know that, just as any drug user in the street, they will recommend the same drugs to others. The group, called Beyond Blue, appears to be a carbon copy of our US counterpart, NAMI (National Alliance for the Mentally Ill) – a group almost fully funded by Pharma (75%) to encourage family members to keep their loved ones on the medications they are on. Just a couple of weeks ago I sent out a post containing many cases of medical professionals or their family members here in the States involved in murders or murder/suicides associated with their use of or possible use of antidepressants. I also stated that in my experience of gathering cases for our database at www.ssristories.drugawareness.org medical and psychological professionals by far make up the largest single group facing serious problems with antidepressants and antipsychotics. And as shocking as the percentages are out of Australia I would say they are certainly conservative figures next to ours because in 2007 a TV camera crew came from Russia to interview me. At the last minute they let me know that they wanted to film me giving a lecture. So we quickly put out some flyers and decided to have the lecture right at my home. We packed the place with only a days’ notice with about 50 people coming from as far as 7 hours away…I say that only to point out how very many there are facing problems with these drugs. After my lecture one of the two psych nurses who attended stood to say they never get to hear what I had shared with them that evening but she personally knew it was true because she was on Lexapro and having all the reactions I had mentioned. She then said that 75% of the doctors and nurses she worked with are taking antidepressants!!!!! She explained that the drug reps were telling them they are in a very stressful profession and they need to “nip in the bud” the depression that would surely follow all that stress. An old but successful sales line. Keep in mind that if stress leads to depression and doctors are in a stressful profession antidepressants would be the last thing they would need since elevated levels of cortisol are what indicate stress while a study done by the makers of Prozac (Petralgia 1984) found that taking one single 30 mg dose of Prozac will DOUBLE cortisol levels thereby DOUBLING stress levels. Although that is the only one we have studies to indicate this increase it can be expected in all SSRI and SNRI antidepressants as the drastic cortisol increase is linked to the increased serotonin. More than a quarter of doctors are likely to have a minor psychiatric disorder and one in ten has had suicidal thoughts, according to a major study. Doctors are far more depressed and stressed than other Australians, with a disproportionate number having suicidal thoughts, according to a major study. Students and doctors aged under 30, particularly women, are at most risk of suicidal thoughts and mental illness, according to the survey commissioned by mental health charity beyondblue. Oncologists are the most psychologically distressed specialists, while doctors who do not deal directly with patients think about suicide most often. One in five medical students and one in ten doctors have had suicidal thoughts in the previous 12 months, compared with one in 45 people in the wider community, according to the report. Based on responses to the survey, more than a quarter of doctors are likely to have a minor psychiatric disorder like mild depression or mild anxiety, which is much more than the broader community. Although many doctors are embarrassed to admit they have a problem, they are more likely to seek help than the general population. This is a good sign, says Dr Mukesh Haikerwal, former Australian Medical Association president and chair of the beyondblue doctors mental health program. “It is a step towards removing the stigma from mental illness. “Doctors are role models. They lead by example and will encourage other members of the population to seek help early. “There is great resilience within the medical profession but doctors do fall into depression and anxiety and must get early treatment and intervention,” he says. The Roy Morgan survey, which was completed by more than 14,000 doctors and medical students, shows men work longer hours and engage in more risky drinking, but women doctors are more distressed and think about suicide more often. Perceived stigma is rife, with four in 10 agreeing that many doctors think less of doctors who have experienced depression or anxiety. Just under five per cent list bullying and 1.7% list racism as a cause of stress. Kate Carnell, the CEO of beyondblue, says the survey identifies the challenges the medical community faces and outlines how they can be tackled. “This includes initiatives such as a mental health strategy for the Australian medical community, guidelines around working hours and better mental health education in universities to reduce stigma. “If doctors do not deal with the mental health issues they are experiencing it can affect their ability to deliver the best care,” she says. Yet another grandmother has taken the life of her grandchild – something I have never seen before the SSRI antidepressants. 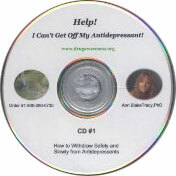 You can search our database of cases at www.ssristories.drugawareness.org for other cases like this – all involving the use of antidepressants by the suspects. In Oak Lawn, IL Polish speaking grandmother, Alfreda Giedrojc, 61, was left alone briefly Sunday morning with her sleeping six month old grandchild. According to investigators, the baby’s father and grandfather left the home briefly to help another relative who lives across the street when Giedrojc killed the baby. Police would not comment on Giedrojc’s mental health nor on a motive for the baby’s murder. The inspirational story of Richie Parker on how to keep on keeping on in spite of all odds in life. If there is one thing about how antidepressants disrupt your life completely turning it completely upside down, it is learning how to continue on in spite of what the drugs have done to you. Richie Parker’s life is an inspiration to show you how that can be done in spite of all odds.